If you own a MacBook Pro and you wanted to install Windows on it to run maybe some Windows software or games, Apple makes it possible by releasing Windows drivers which will allow Windows to run on your MacBook Pro computer. Since 123myIT has some videos on how to install Windows on your Mac we thought it fitting that we create a page which contains all the models of the MacBook Pro and which Boot Camp Support Software (Windows Drivers) you will need for your specific model of MacBook Pro. The following downloads contain the Windows Support Software (Windows Drivers) needed to run Windows on your MacBook Pro. MacBook Pro (Retina, 15-inch, Mid 2015) Windows 10 BCA, Windows 8 64-bit, 5.1.5640, Windows 7 64-bit, 5.1.5640. MacBook Pro (Retina, 15-inch, Mid 2014) Windows 10 BCA, Windows 8 64-bit, 5.1.5640, Windows 7 64-bit, 5.1.5640. MacBook Pro (Retina, 13-inch, Mid 2014) Windows 10 BCA, Windows 8 64-bit, 5.1.5640, Windows 7 64-bit, 5.1.5640. MacBook Pro (Retina, 15-inch, Late 2013) Windows 10 BCA, Windows 8 64-bit, 5.1.5640, Windows 7 64-bit, 5.1.5640. MacBook Pro (Retina, 13-inch, Late 2013) Windows 10 BCA, Windows 8 64-bit, 5.1.5640, Windows 7 64-bit, 5.1.5640. MacBook Pro (Retina, 15-inch, Early 2013) Windows 10 BCA, Windows 8 64-bit, 5.1.5621, Windows 7 64-bit, 5.1.5621. MacBook Pro (Retina, 13-inch, Early 2013) Windows 10 BCA, Windows 8 64-bit, 5.1.5621, Windows 7 64-bit, 5.1.5621. MacBook Pro (Retina, 13-inch, Late 2012) Windows 10 BCA, Windows 8 64-bit, 5.1.5621, Windows 7 64-bit, 5.1.5621. Windows 7 32-bit, 4.0.4033 Windows Vista 64-bit, DVD. Windows Vista 32-bit, DVD. Windows XP 32-bit, DVD. MacBook Pro (15-inch, Mid 2010) Windows 8 64-bit, 5.1.5621 Windows 7 64-bit, 5.1.5621 Windows 7 32-bit, 4.0.4033 Windows Vista 64-bit, DVD. Windows Vista 32-bit, DVD. Windows XP 32-bit, DVD. MacBook Pro (17-inch, Mid 2010) Windows 8 64-bit, 5.1.5621 Windows 7 64-bit, 5.1.5621 Windows 7 32-bit, 4.0.4033 Windows Vista 64-bit, DVD. Windows Vista 32-bit, DVD. Windows XP 32-bit, DVD. MacBook Pro (17-inch, 2.4GHz) Windows 7 32-bit, 4.0.4033 Windows Vista 32-bit, DVD. Windows XP 32-bit, DVD. MacBook Pro (15-inch, 2.4/2.2GHz) Windows 7 32-bit, 4.0.4033 Windows Vista 32-bit, DVD. Windows XP 32-bit, DVD. MacBook Pro (15-inch, Core Duo 2) Windows Vista 32-bit, DVD. Windows XP 32-bit, DVD. MacBook Pro (17-inch, Core Duo 2) Windows Vista 32-bit, DVD. Windows XP 32-bit, DVD. MacBook Pro (17-inch) Windows Vista 32-bit, DVD. Windows XP 32-bit, DVD. MacBook Pro (15-inch, Glossy) Windows Vista 32-bit, DVD. Windows XP 32-bit, DVD. Try holding down the ALT option key at start-up and selecting the EFL USB. You can watch this video to see what I mean. Hi .. can i install the windows 7 without the disc and just using USB? Cos the bootcamp asking using disc. Im using MacBK Pro 2010 year. Yes you can you would have to create a Windows 7 USB disk first though. This may or may not work depending on version of Mac os x and mac model. Try the one from the 123myit.com downloads sections link below. Download and try the 64 bit version. Installed windows8 successfully thanks to your tutorial, been using it for month now, but I cannot now get back to Apple OS.. Any ideas, when I go got control panel, system and security, bootcamp isn’t listed, I’ve also tried restart holding down the option key and it boots to windows…. You need to install boot camp drivers for Windows 8. Start by going to this page here. Once you download an install it you should be able to set your start up disk. Video below. Or you can restart your Mac and hold down ALT option key. Its pretty easy, you have a few options, you can hold down the ALT option key when you restart your Mac and select Windows or Mac partition. Or you can set the start up disk in OS X or Windows. Can you download the app from the Google website? Thanks for the feedback. If you want to keep up to date with what 123myIT is doing you can subscribe to the YouTube channel link below. Please can you give me guide lines how to install adobe reader? Its been a while I’m trying to download and install and it doesn’t work tho I follow the guide. Are you trying to install it on a Mac or Windows ? Hello, please help i have a MacBook Pro (15-inch, Mid 2009) and i have windows 8.1 pro, just a while ago i was able to use my camera but now i am not please help. It sounds like you would need to find the drivers for your camera to work with Windows 8.1. To find a list of supported drives for your Mac take a look at the boot camp drivers section for MacBook Pro, link below. MacBook Pro boot camp drivers. IF you have external USB mouse and Keyboard use that for the time being. Also you will need the MacBook drivers. Link below. Is Windows 8.1 Blue Preview Downloads the Pro Edition? Same as pro, but still a preview which means after one month it will expire and ask you to restart. I used the file for Windows 8 on MacBook Pro Retina Mid-2014. When I tied to open the Bootcamp.exe file, it said that it wasn’t compatible. I really, need those drivers to work. How do I do this correctly? Or are the drivers not compatible? I am running Windows 8.1 at 64. Did you try this link here? I have a product key for windows 8.1 but I can’t use it till I get windows installed on my mac. From the preview version do I have download the whole version or can the product key just update it? You can make a Windows 8.1 media USB drive here. Once created you should be able to use that install to create either an ISO a USB or a DVD. Not sure what you are asking for here? Is it a copy of Windows 7 download you are after? Hello! Your tutorials are helping me a great deal. However, I’ve run into a problem that I can’t find the answer to here. Everything in the Windows Installation goes well on my Mid-2014 15-Inch Macbook Pro. I get past the partition stage, and am under the process of installing Windows. All the checkboxes get ticked. Is there any way I can fix this without having to purchase a CD drive? Because all the solutions I’ve found on Google seem to point to that. I have a copy of Windows 8.1 Student edition purchased and downloaded directly from Microsoft in ISO form that is being bootcamped from an 8gig thumbdrive. Sorry I am not quite sure which stage you are at, can you give me some more information? Oh right so you are up to the installing Windows stage the screen actually shows the Windows screen? Included is a picture that I snapped from your video. This is where I am. And then the installation crashes. I’ve tried a solution that involves creating free space and then booting from the USB drive, but that didn’t end up working. If this is the case it probably wants you to install Windows from a DVD. So it will install Windows from a DVD and download the Windows support software to the USB. So burn any iso file to DVD. Video link here. Hi, I’m trying to install Windows 8.1 on my 13in 2014 Macbook Pro but in bootcamp assistant when I try to make the windows USB stick I keep getting this message “Boot Camp only supports Windows 7 or later installation on this platform. Please use an ISO file for Windows 7 or later installation.” I’m using the free trial iso for windows 8.1 64-bit that I downloaded from this website. I also tried moving it to the documents folder instead of the desktop but that did not help. Thoughts? I want to use a free trial before I purchase windows 8 to see if it even runs well enough on my Mac! Does it detect the Windows iso file at all? Does it add the iso file to the boot camp menu or not? Also maybe try and run the Apple updates, restart the Mac and try it again. Is there any way to install Windows 7 32 bit onto a 13in MacBook Pro Retina late 2013? Would the older Bootcamp 4 installer work? I have some Ag software that only installs and runs on Windows 7 32 bit. I also happen to have access to a Mid 2012 13in MacBook Pro that windows 7 32 bit is running great on under Boot Camp. I wonder if I can maybe Winclone that and put it on the this other newer machine. From what the 123myIT.com webpage says it only supports 64 bit software. You could try installing a VMware option. Take a look at the video below. I have not tested it but you might be able to install VMware then install the 32bit version of Windows in the VMware. Let me know if it works. I would interested to find out if it does. Hey i followed your video of installing windows vista for an Apple Mac i followed exactly as the video did and got the same results u had at the very end that i was missing the same drivers on the video. You said u would make a follow up video to get them but i couldn’t find it. or can u help get me my missing driver i need? Its on the DVD you got with the Mac I believe for vista? I got my Mac threw Ebay so the original owner didnt give me a DVD with it and my Vista DVD came from my old laptop i had and thought i could use it so… what do i do without the DVD if there is another way to get it? But I have some problem that when I press the option.My computer can’t detect my usb. And my OSX version is 10.10, is there any different step? Depends what model of Mac you have. You can try removing the PRE on different lines until you find one that works for you. Also maybe try a different usb or usb port? My mac is macbook pro 2011 early. Yesterday, I have tried another version windows 8.1. And it can be installed. When I installed, I found there are many problems such as it cant detect my speaker or headphone, so it didn’t has any soung.And it cant install some driver. When I am installing some driver, screen will become blue and said SYSTEM_THREAD_EXPEXTION_NOT_HANDLE (igdkmd64.sys), then it will reboot. I want to use two disks, one HDD for OSX and one SSD for window.So I installed the OSX on HDD. And the bootcamp I chose the SSD to be the windows. Did I do anything wrong? I have a problem while trying to install windows 8.1. I am having a Macbook pro 13-inch(early 2011) running OSX Yosemite. When i tried installing windows through USB, i am getting an error “Installer disc not found”. Should i use only my optical drive to install as my mac has one? Yes, it sounds like your Mac is looking for a DVD. Burn the iso file to a DVD and try the process again. Hi, thanks for the tutorial, works perfect. Just have a question, do we have to install all drivers one by one ? Where should I start ? Look here for boot camp drivers. and for a video on how to install them find it here. Watch the last part of the video. First I have to say a big thank you for all your effective info here! It’s amazing! i have macbook pro early 2011 , and I want to install win 8.1 in a second partion. I have a ruined built in dvd that does not seem to work which leaved me with the only option to try and install windows using a USB drive. However, While I was starting bootcamp It did not give me the option to install or create a USB iso windows fille. It as if was expecting me to insrer a media to the dvd which doesnt work anyway. Is there a way , that I can do it without a dvd in this praticular model? why did mac remove the first out of 3 check marks on bootcamp? that would allow me to install from a usb and not thriygh a DVD? Because your model is older it uses the DVD to install Windows. Windows 8.1 English 64-bit (x64) (3.8 GB) here. when i run the boot camp assistance, the iso image and the destination disk is auto selected. But when i click on continue button, it prompts saying….. Boot camp only supports Windows 7 or later installations on this platform. Please use an iso file for Windows 7 or later installation. Try moving the iso file to the documents folder. I have macbook pro mid 2012 what kind of thing should i download? Check out the boot camp drivers here. moved the ISO file to the documents folder, but did’nt work either. Yep, so in this case I would suggest a back and clean install of OS X. Let me know if you want me to point you to the right video to help you do so. Reinstalling the os for Mac is not feasible now. Hope I find some other solution. Reinstalling the os for Mac is not feasible now. I hope to find another solution. I have installed Windows 8.1 Pro Preview using boot camp assistance with the help of 123myit you tube tutorials. I have installed the Key that is mentioned in 123myit site. Now it is asking me to activate windows every time i log into windows. so, can i activate Microsoft Windows 8.1 Full version key that i purchased? Will it be compatible with the Windows 8.1 Pro Preview that is already installed using boot camp assistant? You can upgrade the version of Windows through the preview version. Or you can buy a copy from the 123myit.com Store link below and reinstall it. I have a brand new 2015 Macbook Pro 15″ Retina Display with Yosemite 10.10.2. 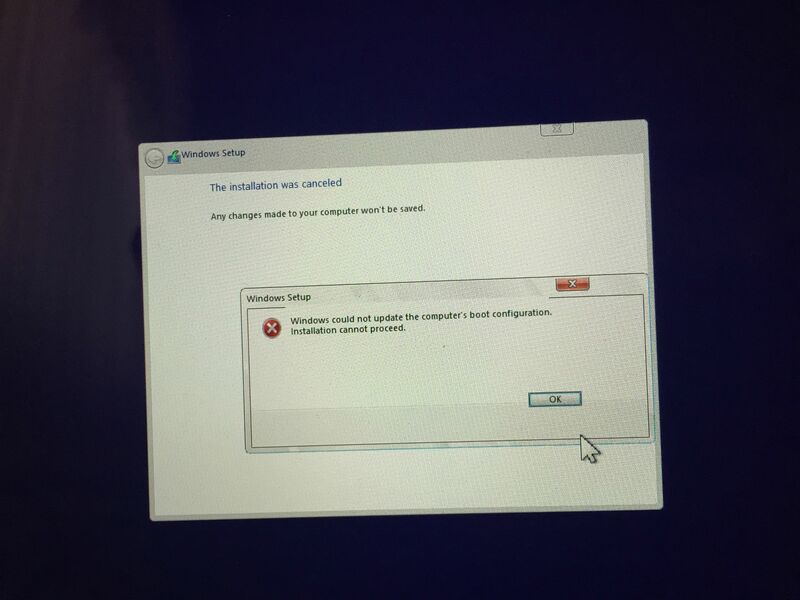 I’m trying to install Bootcamp/Windows 7 but keep getting an error “Your disk could not be partitioned, An error occurred while partitioning the disk” I’ve verified the disk and run repair (just in case), any suggestions? Yes, it requires a whole reload of OS X. Great considering you just purchased the Mac! If that doesn’t work try the below. I have a macbook pro 15inch mid 2012 and I have been trying to install windows 10 on my mac(Yosemite) and its been continuously saying that it is downloading the windows support software for the past 2 days what should I do? should I wait or should I create my own bootable usb drive? Two days is a long time. Depends on the speed of your internet connection. I would cancel it and try it again. No problem at all. Why not subscribe to the 123myIT.com YouTube channel for updates? my computer keeps on saying that an error occurred while partitioning the disk. How can I possibly fix this problem? Take a look at the boot camp drivers for MacBook Pro. Try using the DVD not the ISO file. Try installing the boot camp drivers. After purchasing a new laptop, I gave my 16 yr old son my 2007 macbook pro, 15 in. (2.4/2.2 GHZ) Processor 2.2 GHZ Intel Core Duo. It is running OSX Yosemite Version 10.10.3. He decided he wanted to run windows 8.1 so that he can do some of his homework at home. He replaced the hard drive with a 1 TB Sata Disk, and purchased Windows 8.1, student edition, which only comes as a download. He has been trying to install windows for over a week, without any success. His bootcamp version is 5.1.4. When he runs book camp there’s only 2 options to choose from, the first option is missing (Create a Windows 7 or later version install disk.) I’m beginning to think maybe the reason it’s not working is windows 8.1 won’t work with the older mac? Any suggestions in pointing us in the right direction would be greatly appreciated. Thank you! Without bursting your bubble. You are correct the MacBook Pro is quite old now and the 2007 Mac might only support Windows XP and Windows 7. I would suggest maybe trying with those first. Hi there, just installed windows 7 64 bit on my Macbook Pro 13 inch retina display. The problem is there are no network adapters or drivers, which I cannot connect to the Internet even i use Ethernet cable to my router which is also not working because the Ethernet adapters are not installed. Any solutions? You need the boot camp drivers for your model of Mac. The support for boot camp is different depending on the model of your Mac. I have not seen this error before. However I would suggest there is something wrong with the boot file. The file that tells the computer which OS to use. Normally when people have problems like this I suggest 123myIT’s 3 step process. Also, I use different windows ISO. Just let me know what you are trying to do? Install Windows on a USB right? And in the comments section you will see people that have has the PRE issue. So on that page scroll down and there is a solution for you. At some stage when I have more time I will try and make a video about this. I have Mackbook 12″ with windows 8.1 Pro. I have problem to find the switch for bluetooth , in Mac side work proper but in windows side it is not there , where I can find the proper divers . Once you know the model look up the drivers here. In this case you might need to do a clean install of OS X. Make sure you back up your data first. And use a USB to install OS X with. Ive downloaded the appropriate one for my mac as above after my computer showed an error message “An error occurred while saving the Windows support software”, but after this download and unchecking the download thingy in the bootcamp assistant it gives me ANOTHER error message saying “the installer disc could not be found – Insert your Windows installer disc and wait a few seconds for the disc to be recognized”. I am not the best with computers…please help in layman terms!!! Which Mac model are you using? Sounds like you are using an older Mac 2011 or 2012. If this is the case you need to burn the ISO file to a DVD as the “the installer disc could not be found” is referring to a DVD that you don’t have in the Mac. Im currently using my macbook pro 13 inch mid 2010 on os x Yosemite Ill give that disk thing a try thanks so much! Hi! okay so I tried to burn the disk ect, got all the way back to installation through bootcamp and now my mac has said that it doesn’t support windows 8…any idea where I can download windows 7 in order to burn a new disk so that I can finally finish this process?? Microsoft doesn’t sell it any more. You might be able to get it from eBay second hand maybe? Just make sure you get the DVD and the product code. What part are you up to ? Hi Ryan, Thanks for the feedback that should help others out. Hi, Just got my new Macbook Pro 13″ – 2015 – retina. I would like to have a Windows version 10 on this Macbook with bootcamp. My question; Is it possible to use Windows 10 on the latest Macbook Pro 2015? Are all drivers available for it? The short answer is. . . . I don’t know. As I don’t have a 2015 Mac. However I have ordered one its being shipped as we speak and I will have a video up shortly which should answer your questions. Until then, my guess is that the boot camp drivers for Windows 8 should work with Windows 10. Sign up to the 123myIT.com YouTube channel or check back here in about a week and I should have an update for you. I have the windows 8.1 disk but am having trouble putting the iso image into my usb drive. it says that my file’s volume is too high. My flash drive is formatted as MS-DOS (FAT), but i googled it, it says that flash drives with MS-DOS (FAT) format cannot fit more than 4G which my iso image is well over 4G. Any solutions? Downloads section with the media creator tool. How can i install window on my mac(mid 2012)?? You will need to but Windows iso to a DVD and use the DVD. I’m using a MacBook Pro 15″ (retina display, Mid-2015) and i’ve successfully installed Windows 8.1 using Bootcamp. But i’m having trouble with the drivers! I can´t make my trackpad, speakers and special functions of the keyboard to work! Any answers? Thanks a lot anyway! I have just purchased a MacBook Pro 2015. Unboxing video will be up in the next few hours. It will take a me a few days to go through the Windows 10 install, once this is done I will have a video up for that as well. I am having the same trouble with the drivers. It says me that my drivers are not compatible with my device. how do i run OS X again? Hold down Alt option button when restarting the Mac. Thank you for your response. The problem just got solved itself. It seems that BootCamp was downloading wrong drivers. Today I tried to re download drivers via BootCamp and they worked! The 5.1.5640, 5.1.5621, 5.1.5722 and 5.1.5729 were not working (when I was trying to download them manually). I have the Macbook Pro (Retina, 15″ Mid 2014) and am trying to install Win7 Home Premium 64bit OEM using the usb created via the Bootcamp process from my genuine MS disc. Windows was installed fine after the applessd.sys issue was addressed. The drivers supplied by the bootcamp setup process gave the wrong version message after which I found your site. Using the drivers appropriate to my Macbook from here (5.1.5640) I get no errors during install but neither the internal keyboard or usb mouse works but the the internal trackpad DOES work (so am able to move around inside Win7 via on screen keyboard). For the time being see if you can use a USB mouse and keyboard. The thing to check would be the device manager and see what drivers are missing. Then use the boot camp downloads to see if the devices will disappear. Try using an older version than 5.1.5640. I did think about the older versions but haven’t had time to test that yet. I will certainly try them. Using the trackpad and on screen keyboard I have already tried updating drivers for the keyboard (which is the only item showing an error in Device Manager) but when I select check internet for updated drivers it just sits there although I have only done that the once so far so can try that again. Installing the driver manually didn’t seem to work. The USB mouse receives power as the optical light comes on but has no effect on the cursor. I recall hearing the Win7 USB device connection/disconnection sound but would need to test it again to make sure I wasn’t just hearing it during the driver install and not when I disconnect/reconnect the mouse afterwards. Ok tried 5.1.5621 but that gives me the message regarding wrong version for my mac, which incidentally is the message I get using the drivers that bootcamp assistant downloaded for me. Btw restarting from OSX seemed to give me a working mouse this evening. Just updated the website with the latest Windows 10 on MacBook Pro 2015 model. If you follow that you should see where the drivers are downloaded to the USB for your model. I just wonder if Apple didn’t have any support for a mid 2014 model did you try the 5.1.5621? can you delete this mis placed thread/comment? can’t seem to find the option to do so myself. Hi! I clicked the link for Windows 10 drivers for Macbook Pro 13″ Early 2015, but the link (https://123myit.com/download/BootCamp_MacBookPro_early_2015.zip) seems to be down. Can I get an updated link? Thanks! Yeah I know. Stupid file wouldn’t upload 🙂 Just trying it again now. Give me about an hour. Thanks so much! 🙂 you are a life saver. No problems, it should be complete now. Let me know how you get on. The download worked this time thanks! But now it is giving me an error- “The $WinPEDriver$ folder was not found.” It needs this folder and I’m not quite sure where to find it. Any suggestions? Yeah, it looks like its another folder that I should have included in the that upload. I can do this Monday, for now I will make the link unavailable till it get it uploaded. Thanks for getting back to me will get it done Monday. Do you want to try again now. I have added the winpe folder. Let me know how you get on. First I would like to thank you for this very informative and detailed website. I cannot thank you enough. I do have a request, is it possible for you to post a direct download for BootCamp 6.0? Everytime there is an OS update the BootCamp keyboard drivers get replaced with generic keyboard drivers. The only way I’ve been able to fix this is by reinstalling 5.1.5621 and then running an update to 6.0. This process is a hassle and it would be amazing if I could just download a copy of the 6.0 installer package, so I could instantly re-run the 6.0 installer when this problem presents itself again. Thanks again for everything, and hopefully you can help me with my desperate request. What version of Mac are you using? I did upload a version of boot camp that worked with Windows 10 for the MacBook Pro Early 2015 model. Find it here. You could try that one. Does this driver for Mac book pro early 2015 really wor? I Want to install windows 10 but this driver seems to be not original. Please help me. Hello, i just installed a new SSD to replace the original HD built in my macbookpro 15″ late 2011 (El capitan). The old HD has been positioned with an opti bay to replace the optical drive. I then tried to install windows on the new SSD, but at the end of the installation, just before the reboot i get the message: “Impossible to configure your computer. Installation has been canceled”. What am i missing here? Are you using the boot camp assistant to install Windows or just trying to install Windows directly? I had installed windows 8.1 on an external hard drive and was having a lot of trouble while installing the drivers as the official drivers were not recognising my macbook. I practically threw the kitchen sink at my macbook and they did not work. But after downloading and installing the windows 10 drivers from here, my laptop works like a charm now. So to end it all I would like to give you a BIIIGGG THANK YOUU. Hello! Hopefully you can help as I have had a bit of trouble installing Windows 8.1 pro on my Mid 2012 MBP. I am running Mountain Lion and hesitant to upgrade as I am a Pro Tools user and have a pretty stable system right now. My version of Boot Camp is 5.04 and I can’t seem to get the App Store to allow it go any higher. I downloaded the drivers for this version of MBP but I don’t know what to do with them. I have tried 3 times and the error is different each time. One was Critical Structure Failure. Another was IRQL Not Equal Or Lesser. I would love to figure out if this is possible in Mountain Lion but if not I believe I can move to Mavericks with out messing up my Pro Tools situation. Is that the answer? well I figured out where your drivers go but the ones I downloaded from your site are older than the ones Boot Camp installed on my USB drive with the ISO. So I am left thinking that this is probably an Mac OS/Boot Camp version issue. Would be great if you have any insight into this. Thanks! So you do you have Windows installed already and you are looking to install the boot camp drivers? Which part are you up to exactly ? Let me know and I can try and help. Try holding down the Alt option key on start-up and select your USB. It’s an error that you put here windows 7 ? Or windows 7 work fine on mid2015 MBP and have all drivers ? Not sure what you mean mate ? Run the boot camp drivers again. MacBook Pro (13-inch, Mid 2012) Windows 10 BCA means which support software could i install ?? meaning of windows 10 BCA?? I have tried to install W10 on my mid 2014 MBP and keep running into issues. I have been trying to use the method from Apple Support and it seems to fail at the windows installation stage. Do you have a video on how to manage this install? I managed windows 8.1 from one of your tutorials before and it worked really well, this was just a demo version and I missed the chance to pay and upgrade, now trying to do a clean install of W10. Appreciate any help and guidance you can provide. Further information: I am getting the error code 0x80070570, i am trying to re-download the ISO file from MS, I will also try different usb stick. The will try using a media creation tool rather than the BC assist created USB. For the past month I’ve been trying to get my second monitor working on my 2012 Mid MacBook Pro 13 inch on Windows 10. I’ve tried reinstalling the drivers that are installed during the installation of Windows in Bootcamp. I’ve came to the conclusion that those drivers seem to have a problem because my second monitor doesn’t work and I can’t hear anything through my speakers. Does anybody know a solution to this problem? It’s been really aggravating and taking up a lot more time than it should. If you plug second monitor in as primary monitor does it work? You might be able too, I have not tried. Normally win 7. Sorry mate, which part are you talking about? Sorry, I tried the 15″ drivers and it worked, which is strange because I’m using a 13″ 2010 MacBook pro. Are the apple downloads down right now? I cant seem to download any of the drivers without getting an error.